Whether it’s a newly minted company or a well-established one, companies want their brand to stand out. One of the best ways to do so is with highly professional, well-executed corporate photography. Every business can benefit greatly from professional photographs. With the online marketplace continuously expanding its reach, the quality of your photographs will make all the difference. After all, potential customers are always checking a company’s online profile. That could be through social media sites like Facebook or LinkedIn. Or it could be through your company website. People base their corporate engagement and purchasing decisions on visual information. 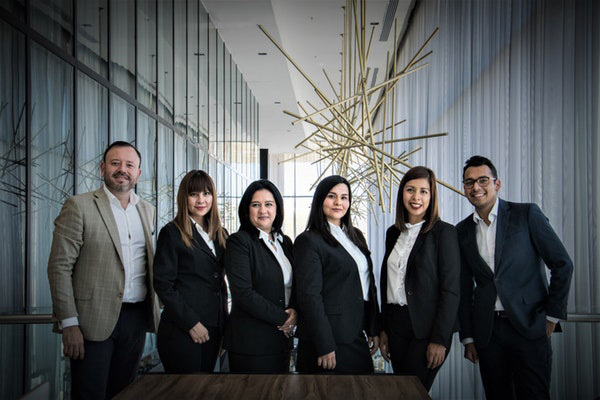 Effective visuals such as well-executed corporate photos can capture consumer attention, boost engagement, and drive professional communication and interest. In terms of branding your company, it’s important to show, not tell. For many companies, professional photography seems like a nonsensical business expense. Smartphones have permitted everyone the ability to capture high-quality photographs. And the Internet is awash with stock photos. But both aren’t capable of emulating the type of professionalism that a well-seasoned photographer is capable of delivering. 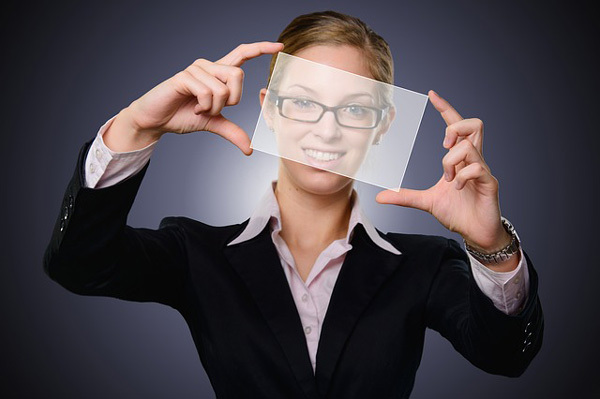 Potential clients seeking out new businesses look to their professionalism. Businesses must act in a similar fashion when approaching the appearance of their online presence. First impressions are everything and professional photos ensure your business stands out from the crowd. Custom, branded images can elevate your business in ways that smartphone and stock photos can’t replicate. They project an image casual photographs simply cannot. But, there’s an art form to corporate photos. Corporate photographs require planning, patience, and practice. 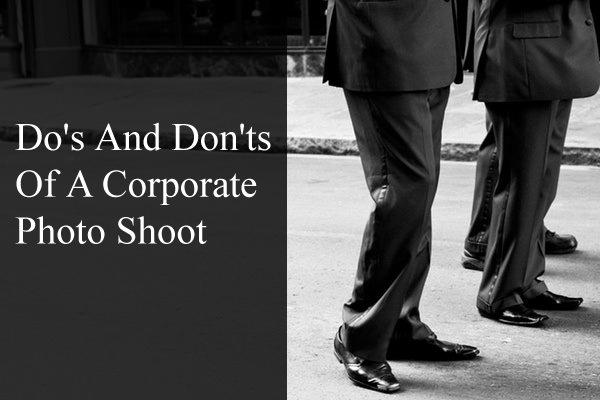 To ensure that the right photos are taken and first impressions set the right tone, here are the do’s and don’ts of a professional in-office corporate photo shoot. It’s important to convey the right message through your corporate photography. Despite common perceptions, professional photography doesn’t mean stiff or boring. It’s the complete opposite in fact. 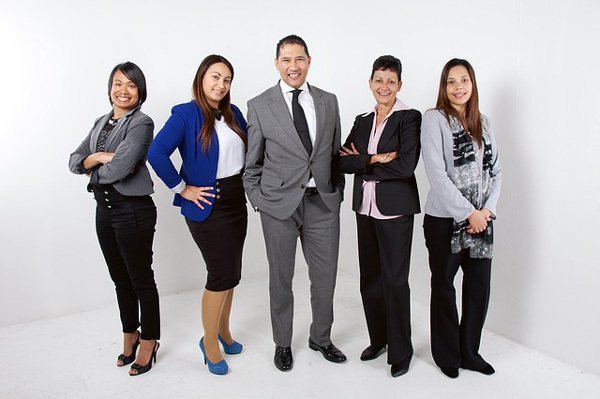 The right photographer can display your company and its staff in a vibrant and engaging manner. This is why it’s important to schedule at least one pre-consultation session with your chosen photographer. The pre-consultation session is the time to discuss their experience and get a feel for their fit with your company culture. The requirements of a startup will very much different than a law firm. The right photographer can and will make suggestions that will deliver the best outcome. Not only that, their expertise will also provide the necessary energy your business should project in its photo shoot. A pre-consultation session is also the time to discuss potential special requests your business may require, such as shooting in black and white or the type of tone you want your photographs to convey. This is also an important time to discuss costs, scheduling, and contracts. A clear timeline of the creative process is necessary so both parties know what to expect during the photo shoot. This time should also serve as confirmation for expected delivery of the final product and manage both parties’ expectations. There are a lot of considerations that must be factored in when planning an in-office photo shoot. Are there important clients stopping by during the day of the photo shoot? Will there be any important meetings that can’t be avoided? Shooting unprepared opens the floodgates to potential problems that can arise on the day of the photoshoot. Few things are more disheartening than expending a corporate photo shoot only to be disappointed with the final product. Planning ahead aligns both parties to deliver the best example of service available. Planning ahead also ensures that the style of photography aligns with your company branding. A unified style is difficult to convey in an unprepared photo shoot. Just as important is the style and tone of your photographs. A lack of preparedness will display inconsistencies within your photography, diminishing its effectiveness. The right professional photographer should be flexible to the requirements of your company. They should also be adaptable and capable of making the right photography decisions according to the company’s needs. This is all achievable with good communication. 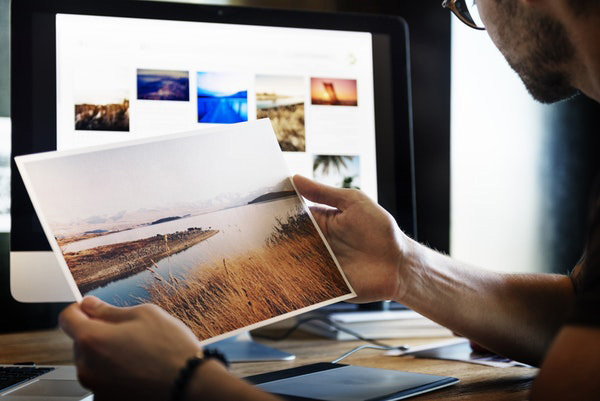 Examining the photographer’s portfolio and understanding their style, provides your company with the visual references to deliver a clear visual style that aligns with your company’s branding. 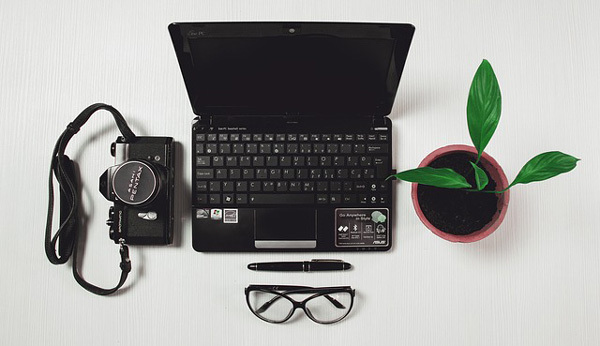 Likewise, visual references from the Internet and past examples of previous corporate photos can serve as an example of the preferred creative outcome. These visual references ensure both parties are on the same page. They also provide the photographer visual cues to plan the necessary equipment for the photo shoot. Communication with the photographer will give a firm idea of timing, equipment requirements, size of the corporate team, and any special needs. These days, corporate photography goes beyond a well-executed headshot. Companies today will do well to not ignore the importance of social media. Platforms such as Facebook, LinkedIn, and Instagram all use visual marketing cues to connect with their audience. It’s important to not waste these great opportunities with casual photographs as they may not capture the right energy your business wants to convey. Where appropriate, companies should maximize their ability to convey the right visual message. When communicating with a professional photographer, businesses should ensure these special needs are met. The in-office corporate photo shoot can also serve as the perfect time to capture “candid” group shots that can be used for a variety of mediums, such as a website banner or targeted email sends. The trust and relationship your company builds through a well-communicated corporate photo shoot can extend beyond the scheduled photo shoot. Important events are optimal environments requiring great photography. A question that often gets asked before an in-office photo shoot is, “what should I wear?” As important as it is to hire the right photographer, your team also plays a role in exuding the right message and corporate tone. It’s important that the team choose articles of clothing that are well-pressed, clean, and present a high level of professionalism. It’s essential staff wear clothing pieces that are comfortable. Discomfort will be evident in the final product, so wear clothes that look and feel great. For men, a standard business look is a traditional suit; jacket, dress shirt, and tie combination. Its classic style exudes executive presence. Men should opt for a solid colored shirt and tie along with a well-pressed dark suit. A distinct or bold patterned tie can create a brilliant splash of creativity. For those looking for a more casual look, ditch the tie and elect for the open dress shirt look. This can be patterned with or without a jacket. If the preferred look is a dress shirt, select colored shirts. Avoid a white dress shirt. Rather, go for strong, solid colors. Women should elect to go with a solid colored blouse. Style and fashion are important but remember that corporate photography is all about the face. Makeup should be clear and natural. Avoid products that shimmer and sparkle in the camera flashes or photography lights. Also, avoid trying new hair products or makeup right before the photo shoot. Your body or face may have a disagreeable reaction to the product creating unwanted blemishes in the final product. For both parties, jewelry should be kept neat and simple. So should hairstyles. Ensure your accessories and hairstyles don’t distract from the face. It’s also advisable to bring a few articles of clothing so there’s choice available during the photo shoot. Corporate photography is about exuding executive presence. There’s definitely room for creative expression, but, corporate photo shoots are not where one should put on a show. Ensure your personality stands out naturally and comfortably. This all starts with dressing in a fashion that’s comfortable and aligns with the corporate culture. With that said, try to avoid big prints or busy patterns. These will overpower what’s important in a corporate photograph; your face. Avoid large lines or stripes as these will distract from the main focus of the image as well. Solid tones and simple designs are always preferred over flashy patterns as their classic style allows for repeat rotation months from the day of the photo shoot. Glasses must also be considered when doing a photo shoot. They can introduce unnecessary glare and can mask the brightness of your eyes. Unless you’re naturally predisposed to wearing glasses, consider putting on contacts for the day of the photo shoot. While it’s important to have a variety of images for other uses, such as action images and full-body shots for upcoming workshops, etc., the all-too-important headshot should not be overlooked. The head-and-shoulder shot conveys a strong presence. It allows viewers to develop a strong impression of the individual by focusing on the face, expression, and more importantly, the eyes. This impression can translate in building the right connection and trust with your target audience. The focus on any corporate photo shoot should revolve around the headshot. Other photos should support this focus. It’s important to get this right as headshots often serve as the face of the company, especially on online platforms such as LinkedIn profiles and company websites. Corporate communications evolve with a team. Outdated images can reflect poorly on a company’s professionalism and brand credibility. Especially if individuals have left the company and their photos are still displayed throughout various platforms. Photos that exceed 5 years or more have outgrown their relevancy and accuracy. A lot can happen in 5 professional years. The company may have grown and people may have fostered new roles within the business. Outdated photos do not appropriately reflect the successes that have occurred in the last 5 years. It’s advisable that images be updated every 2 years. This adds stability and maintains consistency across branded images and keeps corporate visual communications fresh and up-to-date. Updating photos periodically ensures necessary technical requests can be met when the business demands them. As consumers increase engagement with their mobile devices, social platforms and websites are becoming more responsive. Technical requests ensure photos adjust accordingly to consumer demands. This often takes the form of visual media adapting to various screen sizes. Outdated photos limits accessibility across various mediums. A great photo tells a story. The best way to tell the right story is with facial expressions. So unless company culture dictates strict rules, smile in your photos. This gives a warm and friendly expression to your image and can lend trust and credibility among viewers. For those that find smiling in photographs difficult, take a tip from American model Tyra Banks and “smize” with your eyes. Smizing, or smiling with your eyes elevates the face and can turn a normal look from ordinary to model-inspired. Or, try some of the simple tricks below. Try working the camera angles. Finding your best side will allow you to exploit the best angle the camera can shoot from. Turning to your best side at a 30-degree angle can slim your face. Dropping the shoulder nearest the camera and putting your tongue on the roof of your mouth can create a defined and elegant jawline. Closing your eyes and opening them before the picture is taken can relax your composure and reset any feeling of awkwardness about having your picture taken. This will draw out a more genuine and natural smile. Clamping your teeth and smirking slightly will add a slight definition to the jawline and create a cool and mysterious look. Make sure to maximize the time you’ve been given with the photographer. Get in as many looks and shots you may need. This will include considerations for future options. Consider trying various expressions, body positioning, and quick costume changes. Go for the business and casual look, shoot with and without your glasses. Rushing through your photo session will minimize its effect and limit the quality and quantity of the final products. Maximizing your photo session can save the business money in the long run. Having a variety of shots and expressions effectively extends the lifecycle of your photographs. Successful companies deserve successful photography. Corporate photography should not be seen as a business expense, but rather, a business necessity. The right type of image is an investment in an individual’s professional career and an investment in the business. Your corporate photographs are a great first chance to communicate with potential clients and your audience. Having polished images reflect immensely on your company’s professionalism and approachability. With planning and the right corporate photographer, your next corporate photos can be a success. For more on corporate photography, click to read this article. Barry is the creative force behind Barry Morgan Photography, which is a corporate photography company based out of Dubai. Firmly believing you should love what you do, to do your best. Originally hailing from a background in advertising agencies he now brings his business experience to create exceptional and effective marketing photography to help businesses achieve their goals.